I have several books which have been on my bookshelves for many years, and I recently got them down to take a closer look, the first in quite a while. They were handed down to me by my parents, the kind of 'heirlooms' that are perfect for a book lover. There's a 1956 hard cover edition of Go Ahead Secret Seven, book five in the Enid Blyton series. My copy has an inscription inside the front cover that says it was given as a school prize, and my Dad's handwriting as a child denoting who the book belonged to. 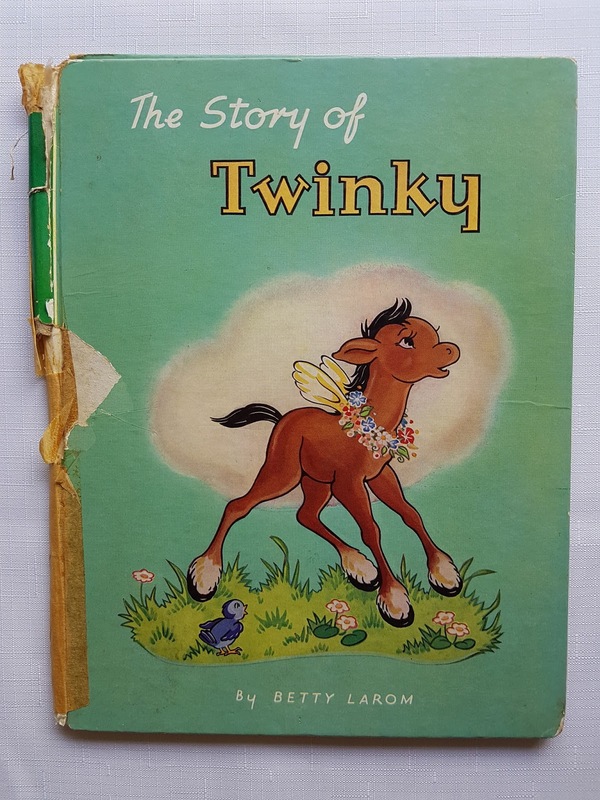 The Story of Twinky by Betty Larom is about a young horse with wings. 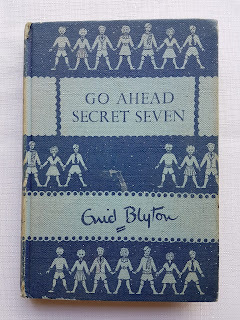 Like Go Ahead Secret Seven, it's also inscribed, this time with a Christmas message from my great-grandparents to my Dad. The inscriptions and handwriting make both books extra special as far as I'm concerned. 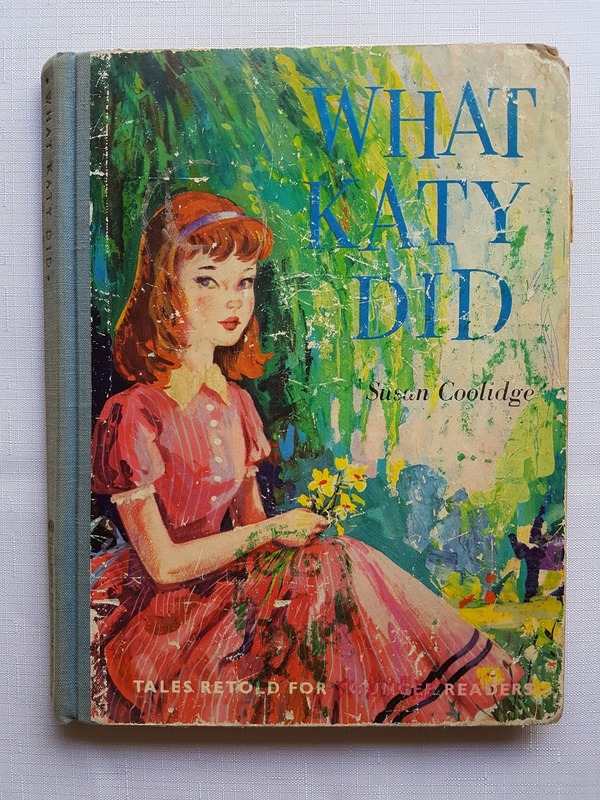 From my Mum I have a 1964 edition of Susan Coolidge's What Katy Did, and a 1954 edition of Pookie in Search of a Home by Ivy L Wallace. 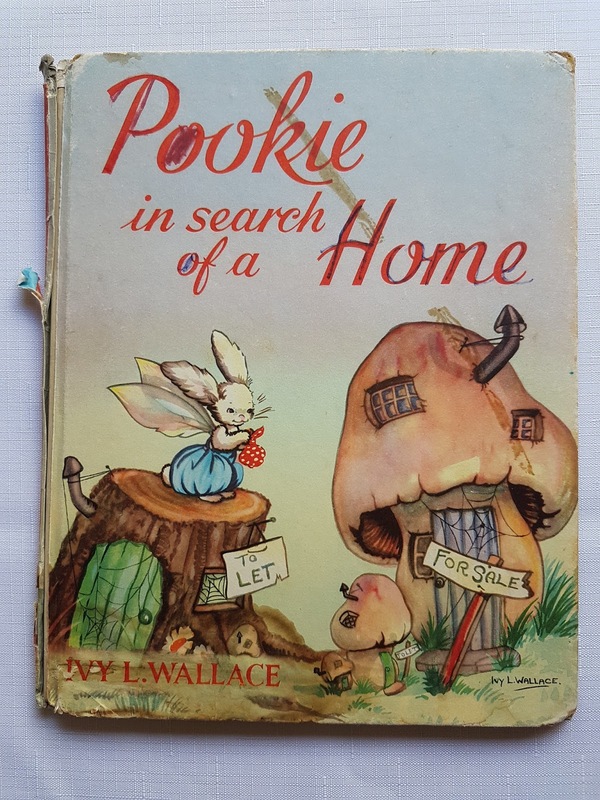 Pookie, a rabbit who could fly, featured in ten books. 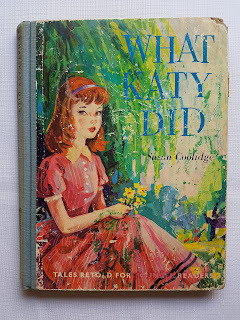 Katy Carr, the star of What Katy Did made her first appearance in 1872, and in sequels afterwards. Then there's the appropriately named, Chuff'ty Puff'ty the Jolly Railyway Engine, written and illustrated by G W Blow. 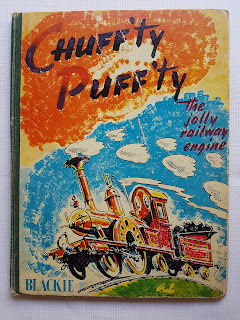 It's the kind of story that would likely still be enjoyed by those children who love Thomas the Tank Engine and his friends. Do you have any books that have been handed down through your family? Perhaps they were given to you by a parent or grandparent, or even a great-grandparent. Go and dig them out, share and enjoy them.